American Eagle, Flag, Olive Branch, Arrow and City Seal, secure in an unbroken circle. 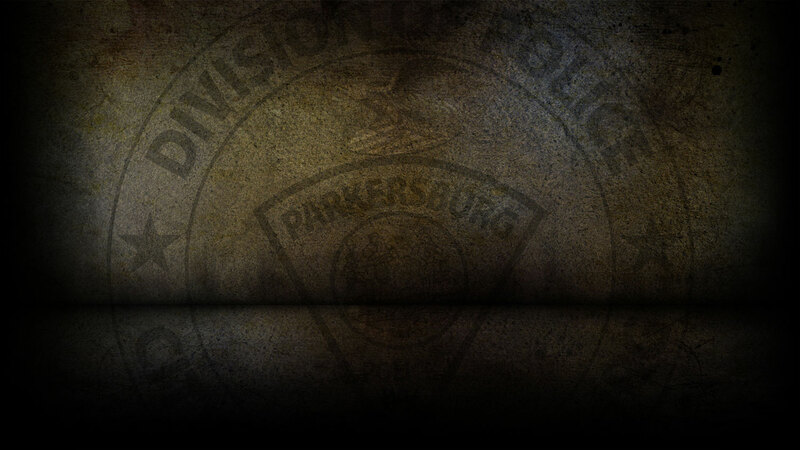 In the center appears the shoulder patch worn by the officers, which bears the official City Seal of Parkersburg. Above the triangle patch, the American Eagle, which in itself is symbolic of all the department represents, freedom, peace, progress and their defense. The decal is designed in a circle to indicate the strong unbroken unity of the members of the Parkersburg Police Department in their dedication to the preservation of all the decal represents, both in performance of their official duties and their everyday lives, thus the departments motto—Progress, Preserve, and Protect. The decal was designed under the direction of D.V. Eaton, Chief of Police, October 1970, during the administration of Wm. P.A. Nicely, Mayor. It was updated by Chief J.E. Martin during the administration of Mayor Robert Newell.